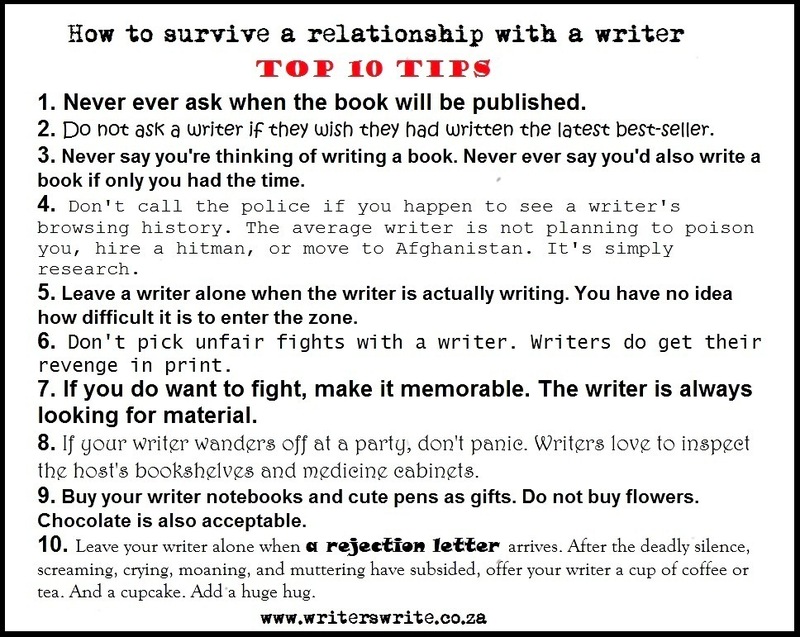 This little cheat sheet comes in handy, when you are in a relationship with a writer. Please pay close attention to #4 and #5. A version, translated into German (by me) is also available on the German part of this website.